Well, things still manage to be published, and I am extremely proud of the story, “La Adivinación,” which currently appears in the 16th issue of Sliver of Stone. The story is about a somewhat clueless American tourist who winds up getting to know a Chilanga mystic. It’s about the stories that bring us meaning and define us. Sliver of Stone is a nonprofit online literary magazine. Our mission is to provide for a web-based environment for outstanding literary fiction, nonfiction, poetry and visual art from around the globe. We want to expand the influence of these genres beyond their traditionally academic audiences. We take special pride in the editorial aspect, offering suggestions and critiques for the submissions that we feel need and deserve that “extra push” toward publication. While we do not take ourselves too seriously, we scorn cliché, lack of craft, or craft over substance. Fingerprints is an awesome story, loosely inspired by a dear friend of mine who I love. I am thrilled to have it appearing in the latest issue of Existere, a publication I have been submitting to for years. Definitely another milestone for me, and I am so happy to be considered worthy by the fine folks at Vanier College in Montreal, Quebec. Digital copies can be purchased online for less than a dollar. From the issue’s description: “Through life’s next adventure, we are faced with withstanding the heavy weight of another’s gaze. In Annie Raab’s “The Artist” and Ben Leib’s “Fingerprints,” we are shown the effects of other people’s opinions and narrow-mindedness in two vastly different ways. With Raab’s piece, we are shown the internal struggle and aftermath of inner turmoil, whereas with Leib’s piece, we watch a woman choke down her pride and principles to survive in her troubled world. Copies of 37.1 are now available on Kobo! Existere exists as a venue for emerging and established talent from York University and around the world. We publish poetry, fiction, visual art, interviews, reviews, essays, photographs, art, and much more from established and emerging talents. We also debut new writers, poets, and artists. Existere publishes biannually. Contributors come from as close as Montreal to as far away as the other side of the planet. Existere is a nationally-distributed literary magazine. It was founded and first published in 1978 as a student-run journal covering literature and poetry. In 1980, the journal began publishing regular issues. Over nearly three decades, Existere has largely published as a quarterly, but in recent years has published semi-annually. Content, focus, and presentation has varied widely over the years, but has always included poetry and short stories as its core. Photography, reviews, art, essays, and postcard stories, novel chapters, and much more have appeared on our pages. Existere will continue to be a student-run journal and publish fiction, photography, and art, but will also add more non-fiction, reviews, and criticism as we grow. How do you pronounce Existere? It depends who you ask. Our name comes from Latin and means “to stand out” or “to stand apart.” Therefore is should be pronounced ex-iss-TAIR-AY. However, being that Latin is not in as common usage as it once was, many refer to our name as EX-ISS-STAIR. Either is fine. We’re just happy to have you pick up a copy and enjoy our contributors. Existere has a listing on Wikipedia (help us with our history), a fan site on Facebook (post your comments, we want to hear from you), and a Twitter account (ExistereJournal). The online literary journal, Blacktop Passages, has just published my short story “Always the Lucky One,” about the narrator’s superstitious descent into lucklessness. I enjoyed writing this story, and am proud to have it published by Blacktop Passages, the publication that has, in my humble opinion, the best name of all. I have been submitting to Emrys for years, and am happy to announce that they’ve accepted my story, “Aluxes,” to appear in Volume 33. In the words of Wikipedia, “Alux is the name given to a type of sprite or spirit in the mythological tradition of certain Maya peoples from the Yucatán Peninsula and Guatemala. Tradition holds that aluxo’ob are invisible but able to assume physical form for purposes of communicating with and frightening humans as well as to congregate. They are generally associated with natural features such as forests, caves, stones, and fields but can also be enticed to move somewhere through offerings.” That said, this story has nothing to do with aluxo’ob, aluxes, or any other mythological figure. It’s about two friends who elicit local help to locate a cave in a rural region of the Yucatan Peninsula. To read this story, you will need to purchase a copy of Emrys. I highly recommending doing this, because all of the writing that appears in the issue is brilliant. I hope you enjoy. Founded in 1983, Emrys (a Welsh word meaning “Child of Light”) has sponsored music competitions, concerts, art exhibitions, conferences, creative writing awards, poetry workshops, and lectures. The Emrys Journal, our group’s signature literary publication, has appeared annually since 1984. Emrys Press, launched in 1995, primarily publishes poets of outstanding merit. Our Reading Room has brought writers and audiences together since 1990. Our Writing Room has provided professional instruction for writers at all stages of their craft since 2006 and begun in 2011, our Open Mic, which has provided a venue for writers of all skill levels to present their work to an enthusiastic and supportive audience. Based in Upstate South Carolina, the Emrys Foundation was awarded the Elizabeth O’Neill Verner Governor’s Award for the Arts in 2004 in recognition of outstanding contributions to the arts in South Carolina. ➢ Emrys nurtures creativity among emerging and established writers. ➢ Emrys seeks to expand the impact of the literary arts. ➢ Emrys collaborates across a broad variety of art forms to give voice to the written word. We invite you to join our award-winning organization. On the night of April 2, 1981, a special musical performance took place at Furman University. Everyone involved had ties to Greenville: the librettist, Keller Cushing Freeman, the musical composer, Sally Wyche Coenen, and the singers. The event was the premiere performance of an original song cycle called The Death of Arthur: a Requiem for Six Voices. The singers represented important characters in the life of the legendary king of the Round Table. “It wasn’t quite the first act of Puccini’s La Boheme, where a cluster of young artists and poets shared their dreams and a bottle of vin ordinaire in a Paris garret. But it was close. Our setting was a basement apartment on Constitution Avenue in Washington, D.C. Serving up the cabernet was Dan Coenen, a law clerk for U.S. Supreme Court Justice Blackmun. Tossing the salad was Dan’s wife, Sally Wyche Coenen, a native of Greenville, S.C., currently taking photography courses and continuing her study of piano with Spencer Fellows. Sally also harbored ambitions as a composer, although 1980 was not a year when the world clamored for the music of emerging young composers—male or female. To date Sally had not had even the nibble of a commission. “I was the fortunate dinner guest that icy winter evening, warmed by more than 20 years of friendship with Sally and the Wyche family. Like Sally, I, too, had a closet stuffed with dreams. Although teaching philosophy was my day job, I wrote poetry on the sly. Recently I’d completed a series of poems based on the legends of King Arthur. The material seemed made for music, so I labeled the poems lyrics and set off to find a composer to collaborate on a song cycle. Sally was my first choice. “That evening over melting bowls of ice cream we reflected on the obstacles confronting writers, composers, and artists who were in sore need of a place to present their work, an audience to receive the work, and a patron to subsidize the projects. Without realizing it, we had begun to articulate the mission statement for the organization that was to become The Emrys Foundation—to promote excellence in the arts, especially literary, artistic, and musical works of women and minorities. “Nearly a year later we felt ready to present our first collaboration, a song cycle for piano (later scored for chamber orchestra), narrator and six voices. I am happy to announce that my piece, “The Augury,” has been printed in the 19th issue of Little Patuxent Review. The narrator of the short story reflects on his experience in a foreign country, during which he’d come into fleeting contact with the alterity of another culture’s myth and folk lore. I love the piece – it’s brief and was written in transit, and at the present time it reminds me of adventure and unfamiliarity when life is beginning to seem oppressively familiar. Little Patuxent Review is an amazing magazine out of Maryland. It’s a print publication, and a copy of issue 19 costs $12. You can order the issue or subscribe to Little Patuxent Review here. Little Patuxent Review (LPR) is a journal of literature and the arts, publishing poetry, short fiction, creative nonfiction and artwork. LPR welcomes most US-based contributors and prides itself on supporting both up-and-coming and well-established artists and writers. Please see our submission guidelines for more details. LPR reflects and draws upon the creativity and diversity of the Mid-Atlantic region and beyond by promoting the literary and visual arts in print and throughout the region’s community and educational venues. Each subscription to LPR supports the arts in your community. You get two amazing issues per year for only $24. Subscribe today! LPR was named for Little Patuxent River, one of the three major tributaries of the Patuxent River. Like LPR, the river flows over stones — the Algonquin word “patuxent” means “water flowing over smooth stones” — through Howard County, Maryland, gathering strength as it carries content to the Chesapeake Bay and out toward the larger world. LPR was founded in 2006 by a group of local writers — Mike Clark, Ann Bracken, Ann Barney, Brendan Donegan — to fill the void left when a periodical of the same title, founded by poets Ralph and Margot Treital, closed a quarter century ago. They envisioned LPR as a forum for area writers and artists. In doing so, LPR not only provides readers with a diverse array of local offerings, but also attracts contributors of national repute. LPR has featured poetry from Donald Hall, Poet Laureate of the United States and Michael Glaser, Poet Laureate of Maryland. In addition, from Delmore Schwartz Memorial Award winner Stanley Plumly, the late Lucille Clifton, winner of the 2000 National Book Award for Poetry and recipient of the Robert Frost Medal for Lifetime Achievement from the Poetry Society of America and Joy Harjo, recipient of the Lifetime Achievement Award from the Native Writers’ Circle of the Americas. There has been fiction from Edith Pearlman, whose collection Binocular Vision: New and Selected Stories won the 2011 National Book Critics Circle Award, Michael Chabon, whose Amazing Adventures of Kavalier & Clay won the 2001 Pulitzer Prize for Fiction, Rafael Alvarez, whose screenwriting contributed to the critically acclaimed television series Homicide: Life in the Streets and The Wire, and Manil Suri, whose The Death of Vishnu became an international bestseller. Marathon Literary Review is a literary journal affiliated with Arcadia University’s MFA in Creative Writing Program. The journal aims to publish an eclectic range of contemporary work, including art, fiction, flash fiction, poetry, photography and multimedia pieces. Marathon asks for first North American serial rights only, meaning copyright reverts to the author upon publication. All right friends and random people who have mistyped their Google search and stumbled upon this page, I have another story to share. The most recent piece to be released is a little ditty titled “My House of Cards.” It is about terrible roommates – including myself – and it’s as gritty as I get (or at least it’s in line with past grittiness). The publication is The Santa Clara Review, and it is an accomplishment that I’m particularly prideful about. In fact, having spent most of my life in Northern California, and having lived for a couple of years in San Jose, Santa Clara Review feels like a home coming, and they have made sure to dust off the welcome mat for me. The publication is incredibly professional looking, their layout is great, the artwork chosen is beautiful, and I’m featured beside quite a number of endlessly talented authors and poets. Check out page 58 of the magazine – it’s quite good. For the online version of the magazine, click here. For the free eReader download, click here. For the free iPad edition, click here. You can also order yourself a physical copy of this magazine – just get in touch with the editors. Back issues are $7.50. Ask for Spring 2012. Santa Clara Review is a student-edited literary magazine which publishes poetry, fiction, non-fiction, visual art, and music. The magazine is published biannually in February and May, drawing on submissions from Santa Clara University students, faculty, and staff, as well as from writers around the nation and globe. 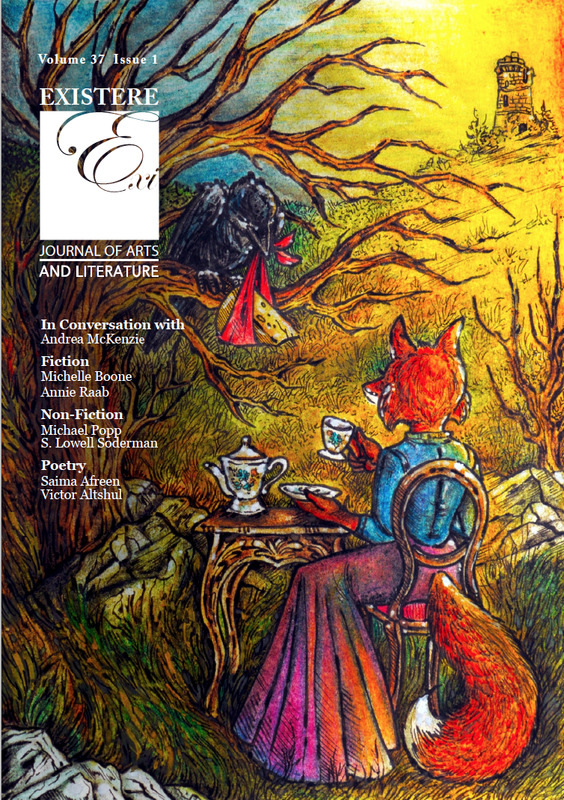 The Review is entirely student run by undergraduate students who are actively enrolled.The Review promotes the literary arts in several spheres: the student and alumni writing community within Santa Clara University, the academic literary community, and the national community of writers outside of SCU. The Review is committed to the development of student literary talent,both in editorial and creative writing skills. The Review provides Santa Clara students an opportunity to gain knowledge in the practice of contemporary writing and criticism, and creates a forum for faculty, students, and alumni to express their creative energy. Founded in 1869, Santa Clara Review–formerly known as The Owl and The Redwood–is one of the oldest literary publications in the Western U.S. Throughout its duration the publication has represented Santa Clara University’s commitment to the humanities, a tenant of Jesuit education. Because the Review shares in Santa Clara University’s commitment to the humanities, the Review will accept only the highest quality material for publication, material which echoes Santa Clara University’s dedication to the pursuit of truth, honesty, and social responsibility within the literary arts. Hey Everybody, here is another story that I love. This piece is titled “Packing the Wound,” and is about the trials and tribulations of post surgery home-care. Frankly, it’s disgusting, and more than being about the horrible things that a human body does to a person, this is a story of the love it takes for someone to care for such a human body. (Totally incidentally, and maybe I’m a fool to tell it here, but David Sedaris wrote a similar piece, “Old Faithful.” I only discovered this after the fact, while reading When You Are Engulfed In Flames.) Anyways, despite the wretchedness of the content, this was an emotional story for me, and I think that it’s found a great home in Grey Sparrow (a little publication that I’ve had my sights on for some time). Please read this story, please share the link, it’s a pretty cool accomplishment for me and I hope that you enjoy it. You can also buy the print version of this magazine – a decision I highly recommend making. They cost about fifteen bucks after shipping and handling and you’ll be supporting an amazing publication. Just contact the editors, and request the Summer 2012 issue. Grey Sparrow offers a “National Treasure” series in the arts and features writing by a Pulitzer Prize writer for most issues and/or a national treasure from a country outside the United States. Emerging and established voices are welcome. The journal is the recipient of the “Best New Journal” award in 2011 granted at the MLA Convention by the CELJ in Los Angeles. Townsend Walker, Associate Editor, is a writer living in San Francisco. During a career in finance he published three books on foreign exchange, derivatives, and portfolio management. His stories have been published in over fifty literary journals and included in six anthologies. Two were nominated for the PEN/O. Henry Award. Four stories were performed at the New Short Fiction Series in Hollywood. His website is townsendwalker.com. Diane Smith, BA, MSE, Principal Editor and Founder of Grey Sparrow Press, a 501[c]3 nonprofit corporation, was born in the United States. She retired from child welfare after twenty years of service and writes about the homeless, refugees, the poor, the diminishing middle class, healthcare; those who have little visibility or power in society. She has garnered awards for her writing in Canada, England, and the United States. She has not become a recognizable name in the literary world. I have another story out titled “Pyromaniacs, Bored and Young.” In this lovely little tale, the protagonist and two of his friends use fire to burn stuff. Like the other piece that was published under the same title, this is an early Ben Leib masterpiece. I hope that you guys dig it. Unfortunately, this piece was mistakenly published under my birth name, but if you order a copy and check out page 335 of Inwood Indiana’s Summer 2012 issue, Harvest Time, then you can find out who I really am. Inwood Indiana Press is the smallest press in the world. They are officially located at latitude 41.318 and longitude -86.203 but they don’t have an office so you can’t find them. Inwood is, by census data, “a populated place,” which makes it less than a town and more than an empty lot. Strange things happen in Inwood Indiana. Things come up missing, people see things and the old lady on the corner seemed to have secrets. This publication is the place to tell your stories, or shroud them in prose. We are interested in all things unusual. We are especially interested in poems and stories set in small towns. Note from the editor: My name is Glenn Lyvers and I am the editor of Poetry Quarterly magazine. Inwood Indiana is a private publication that I produce personally. There is no set schedule for publication, and submissions are always open.